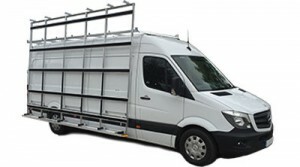 Looking for a replacement Glass Van with External Frails and Internal Rails? We have Glazing Vans to meet your needs. Our Self-Drive Glazing Vans are waiting for you from just £42.86 per day + VAT. Our fleet of self drive glazing vans has late model Long Wheel Base High Roof Ford Transits, fully kitted out and ready to work. They’re fitted with both Internal Racking and External Frail systems. The external frails fitted to our glass transportation vehicles, are complemented by the use of a spring loaded pole system to give greater flexibility of use. All our Glazing vans are completely ‘White Label’, no branding, no hire company advertising, just a plain white van. 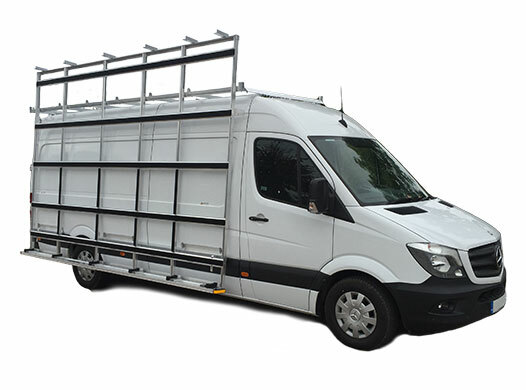 This makes our vehicles versatile and ideal replacements for Glazing Vans, Shop Fitter’s Vans, Kitchen Fitter’s Replacement Vehicles and Garage Door Transportation Vans. Any use whereby the oversized load is required to be carried securely or externally. 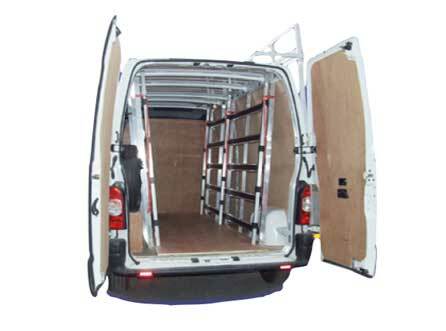 All our Glazing vans are fitted with both internal and external racks to ensure your goods can be properly secured during transportation. The external frail is fitted to the drivers side (Off Side), allowing kerb side access to the interior of the glazing van via the passenger side (Near Side) sliding door. 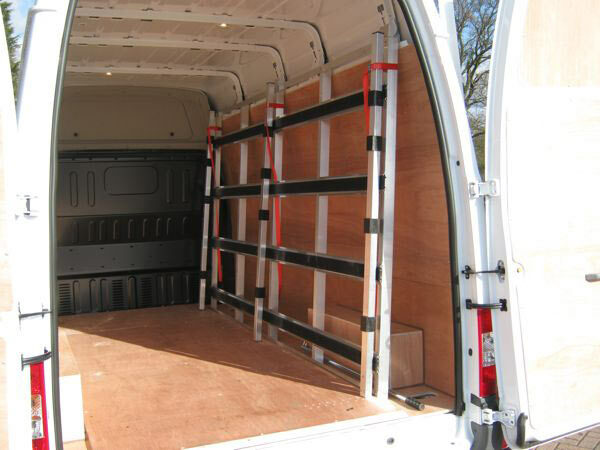 Fitted with full length internal glass racks, our vans help you make the most of the vehicles length for transporting Glass, Windows, Frames and other oversized items. 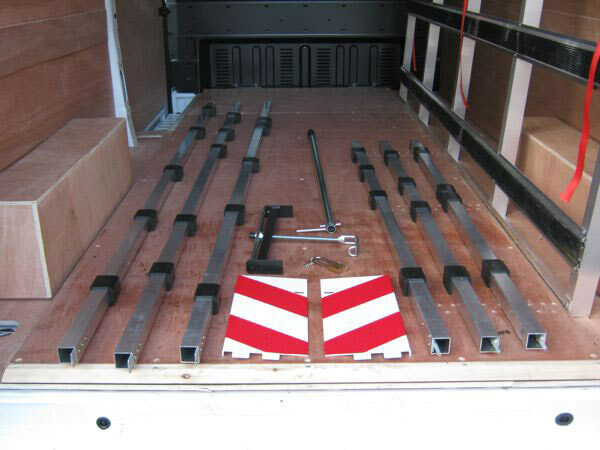 These racks are also suitable for supporting Marble Panels, Work Tops, Doors and other items that require support during transportation. Having a vehicle damaged or awaiting an unscheduled repair is bad enough without the stress of lost work or missed deadlines. 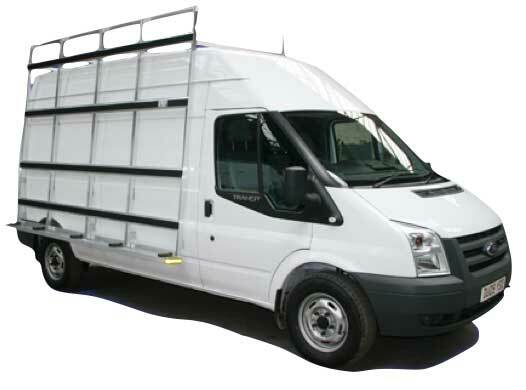 Our self drive glazing vans are available to Accident Management Companies and Insurance Companies, to provide a replacement work vehicle during the claim period.